"Since implementing prof.ITplus our business has significantly increased, the system has grown as we’ve grown. 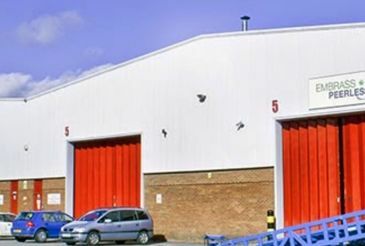 It’s revolutionised our warehouse." Our Works Order Processing module caters for businesses needing to handle kit assemblies for stock, right through to complicated multi-level Bill of Materials (BOMs) and out-sourced processes. The important thing about handling Works Orders is visibility of their status (assembled or non-assembled) across the business. prof.ITplus ensures this information is readily available to all users, particularly useful in the Sales Order Processing screens so customers can be accurately advised on lead times and availability. Lack of control over Works Orders often leads to huge waste and customer service often suffers as a result. Our Works Order Processing module provides the tools to prevent these issues from hampering your business by optimising efficiency, improving costs and boosting productivity. Works Order Processing within prof.ITplus has the functionality to manage version control and audit trails if the need to alter the Bill of Material arises or to produce one-off special configurations. prof.ITplus will intelligently identify if there is sufficient stock of the finished product (helping to maintain stock management), or, if not, whether there is sufficient stock of parts of sub-assembly items needed to produce the product. During the picking process the system will specify the completed product is picked but if out of stock, the system can produce a picking list of the required components. Speak to one of our experts and understand the benefits of our Works Order processing module to your business.